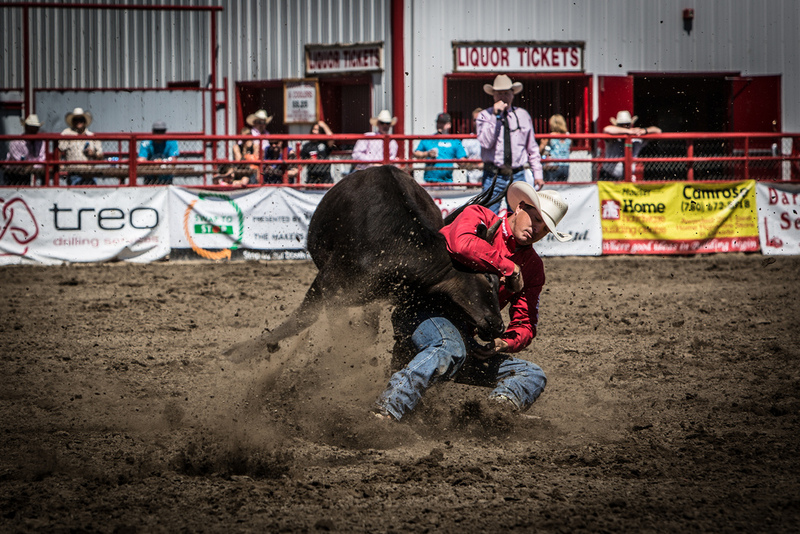 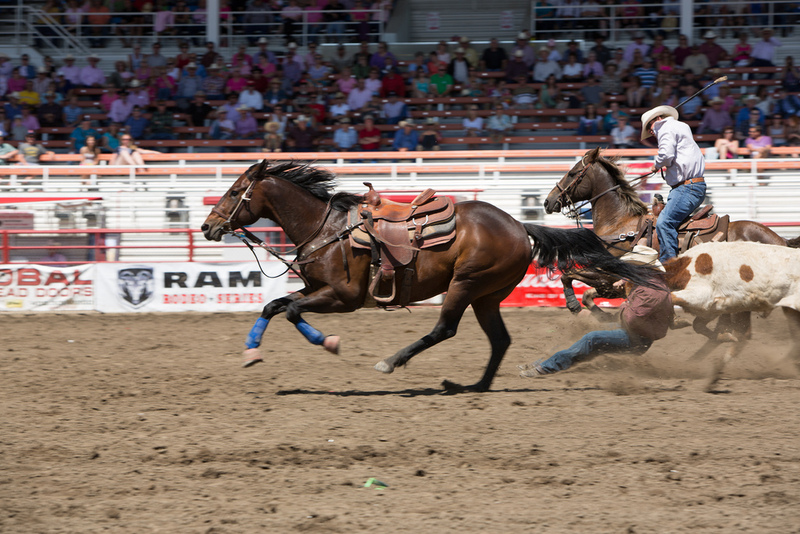 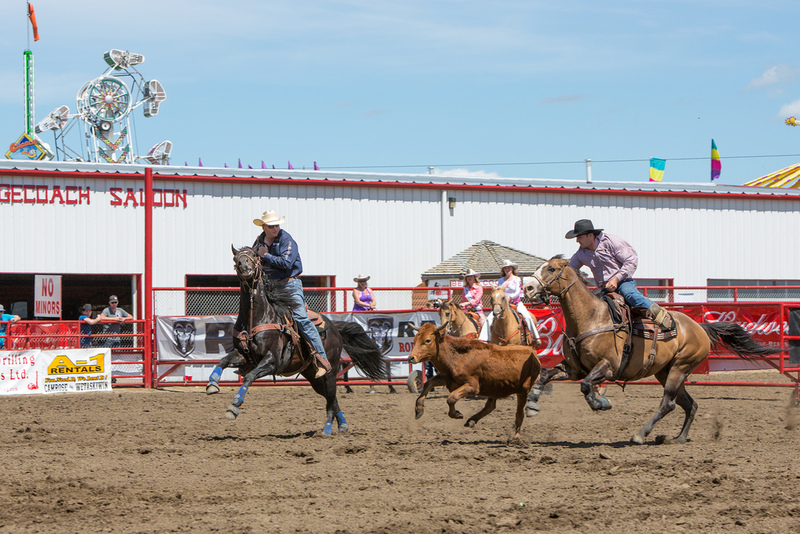 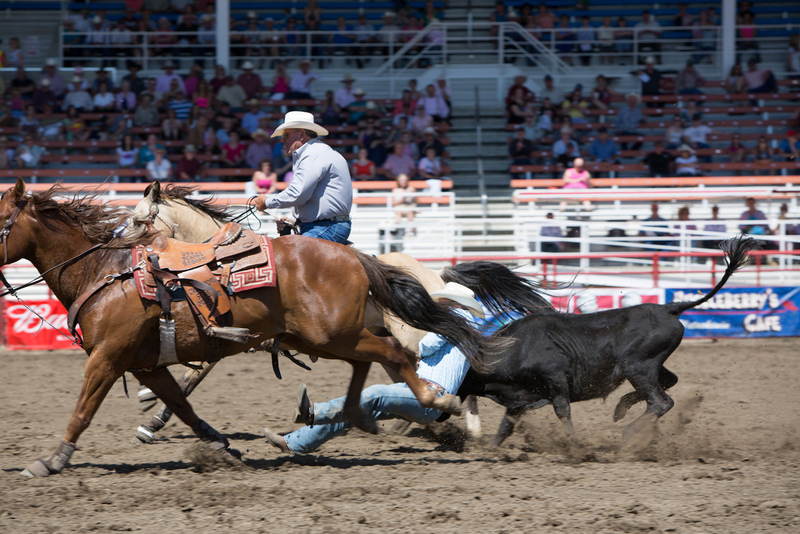 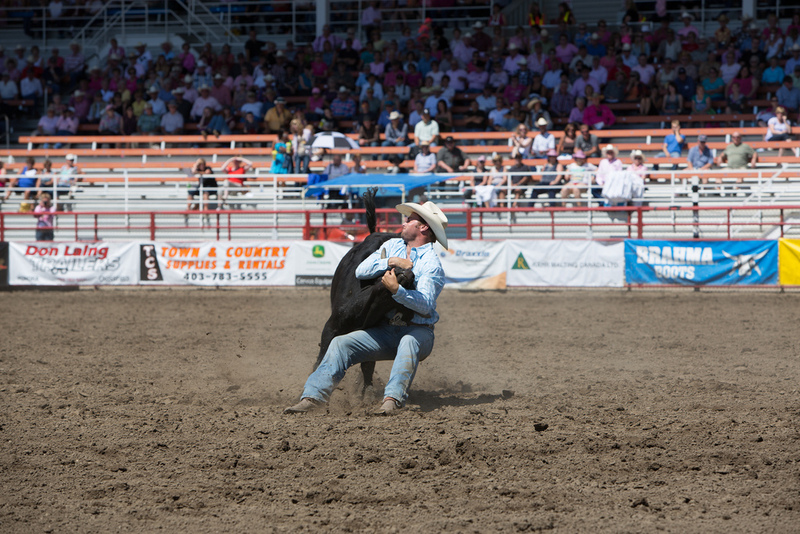 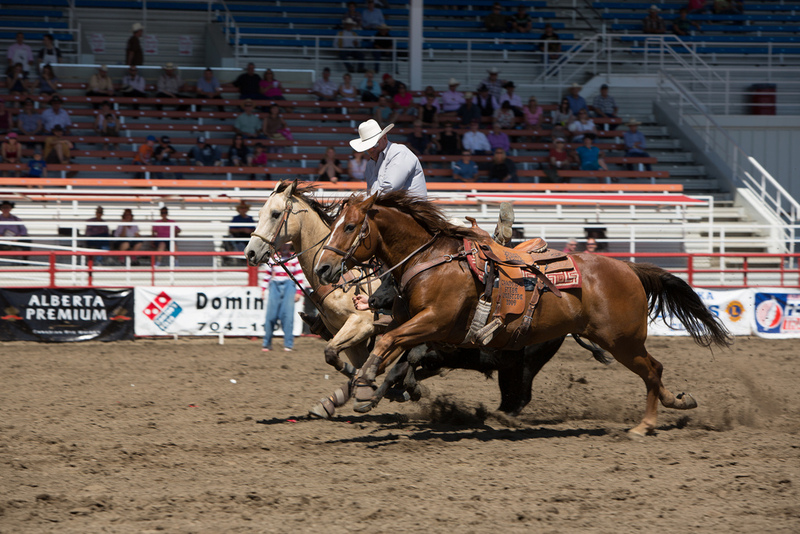 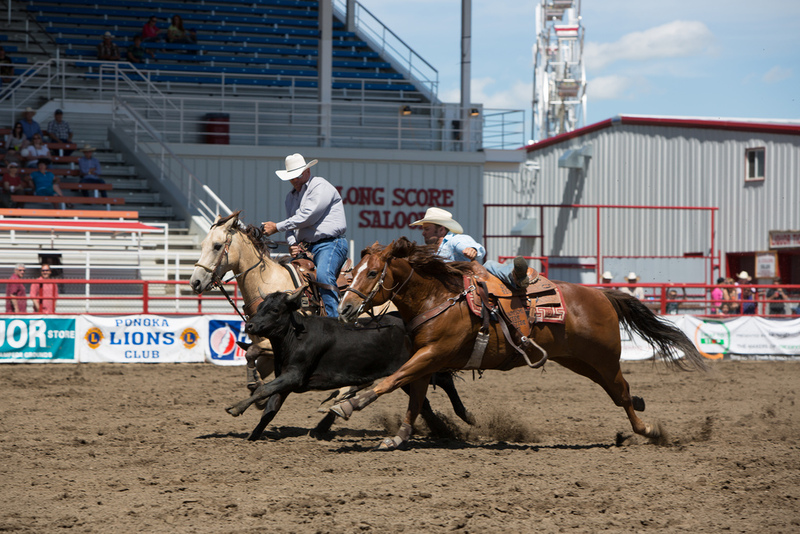 Steer wrestling is an event where two cowboys on horseback chase after a steer. 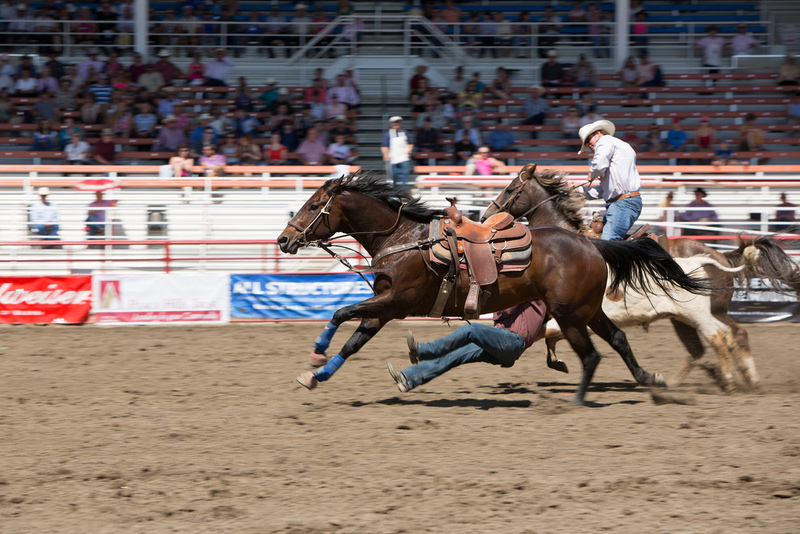 One of the cowboys dismounts his horse and wrestles the steer to the ground. 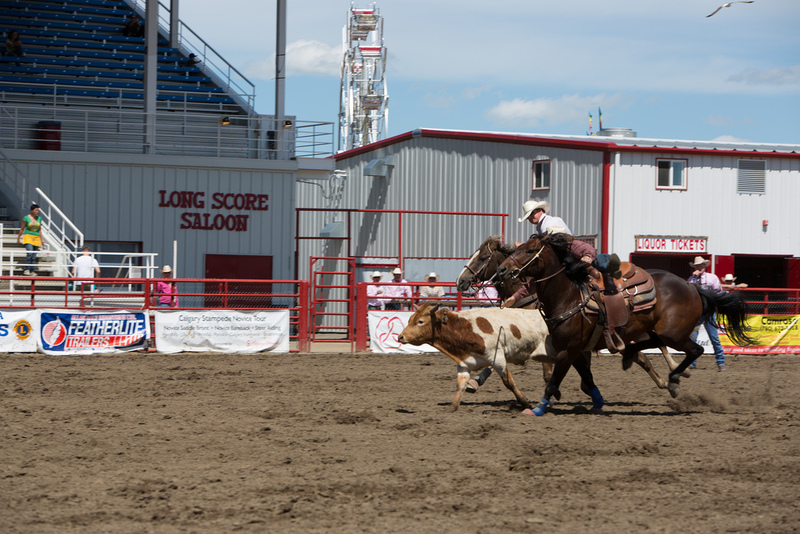 Both the steers and the horses are running at a pretty good clip so it’s an event of careful timing and execution. 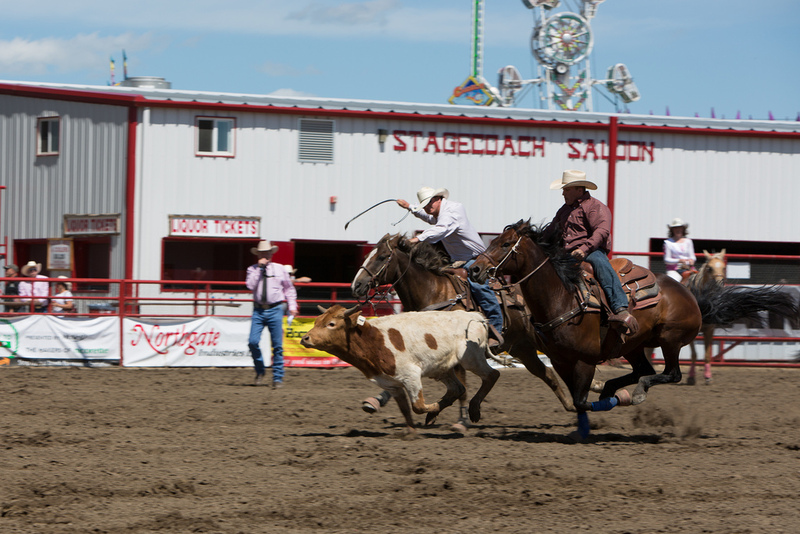 Out of the gate the steer sits between the two cowboys. 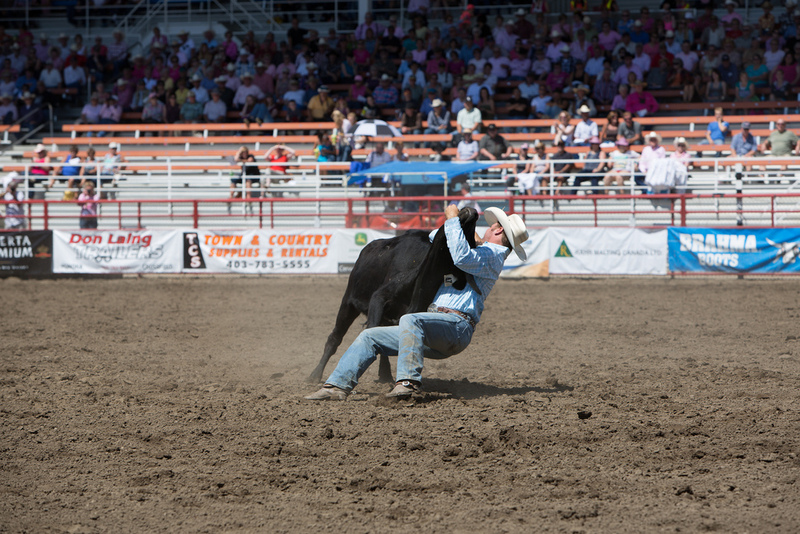 The cowboys try to keep the steer in between themselves so that one of the cowboys can dismount. 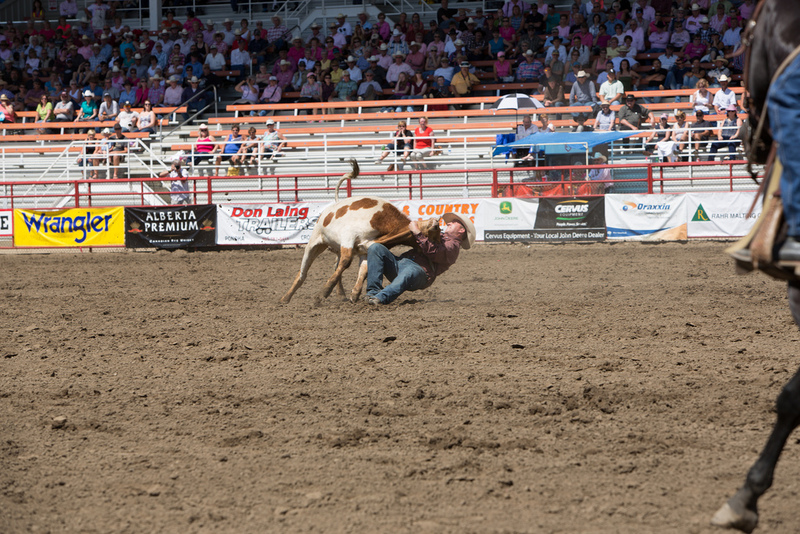 Sometimes the cowboy gets lucky and captures the horns of the steer. 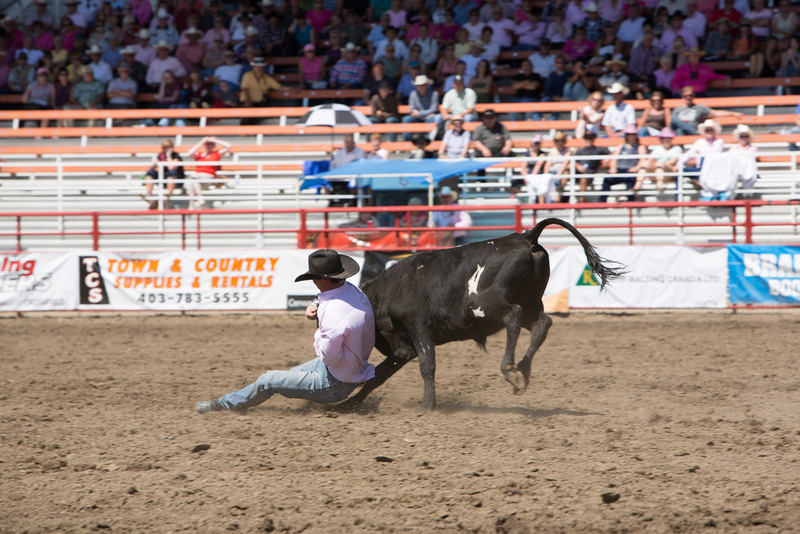 Sometimes the steer gets lucky and outsmarts the cowboy! 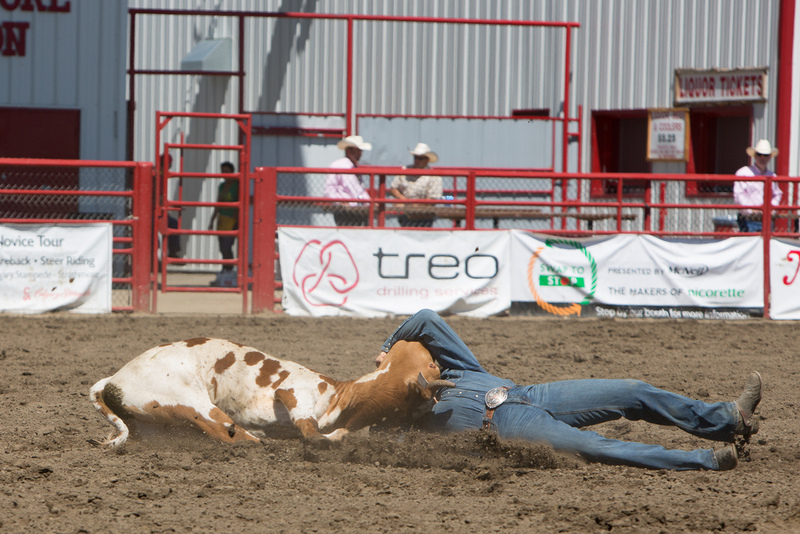 It’s a tricky event for both steer and cowboy. 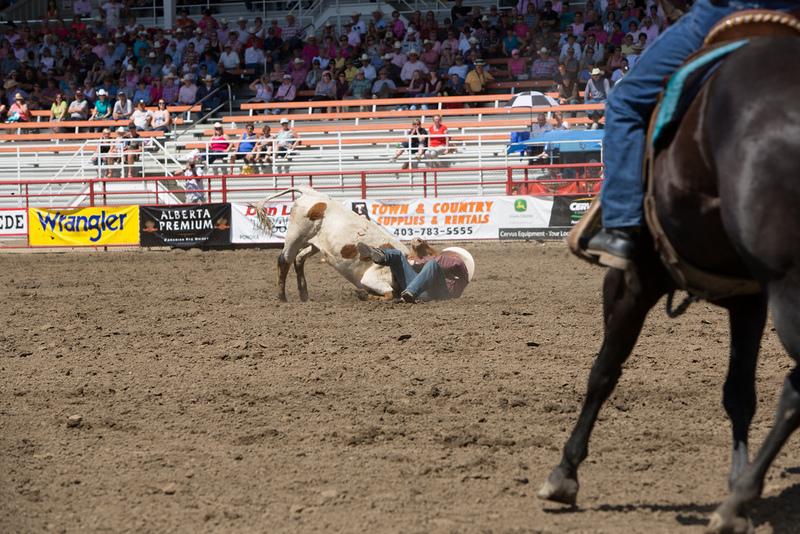 Grit and dirt are very much a part for both. 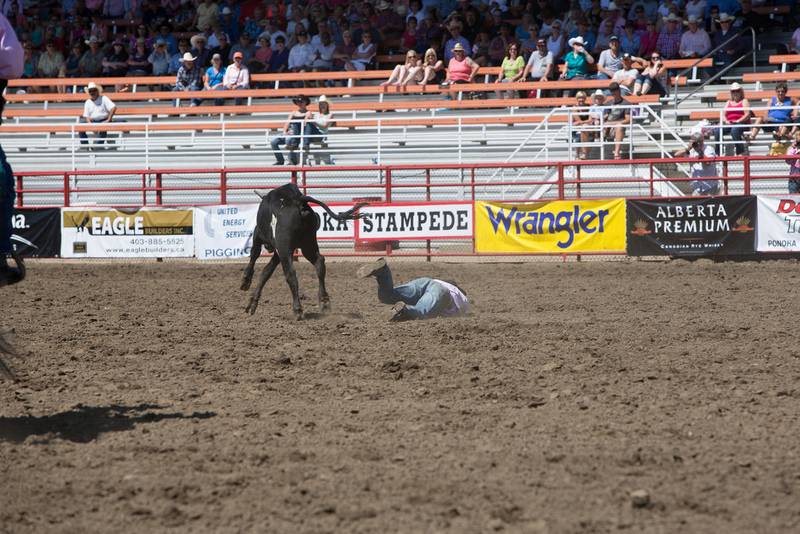 *The steer was fine after the event, but this photo was telling on how hard it really is. 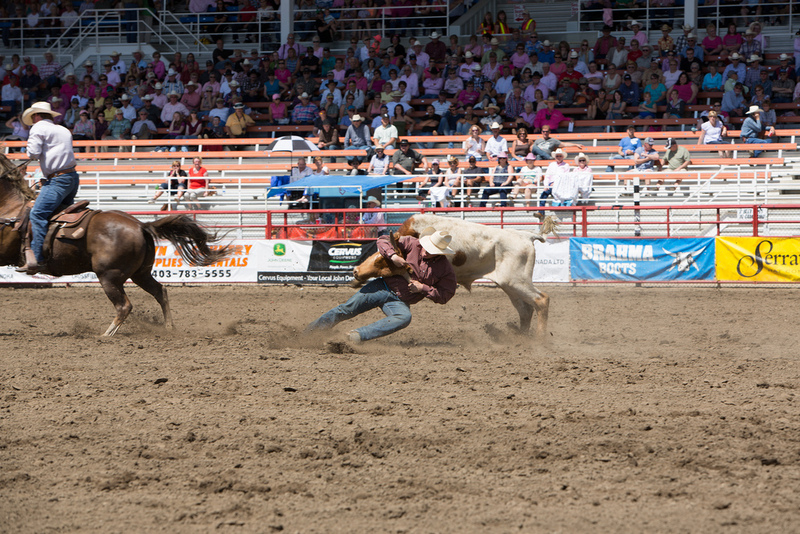 A second team was successful in steer wrestling. 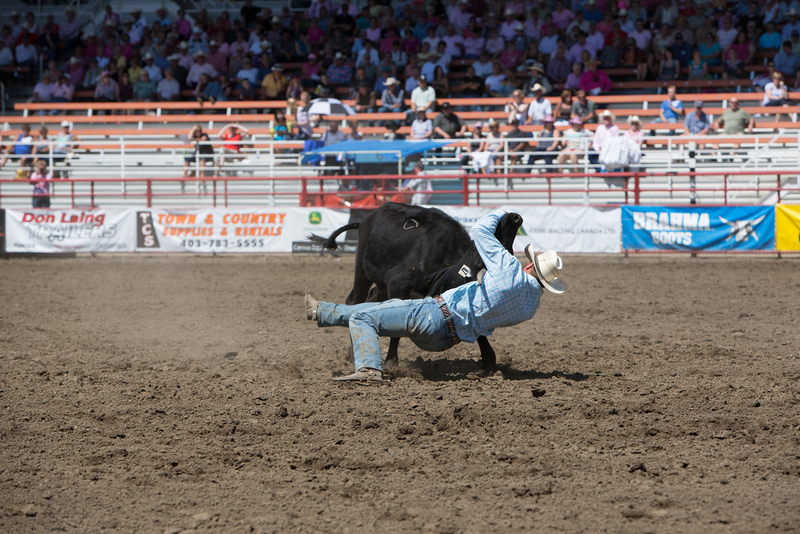 I got lucky in the last photo. 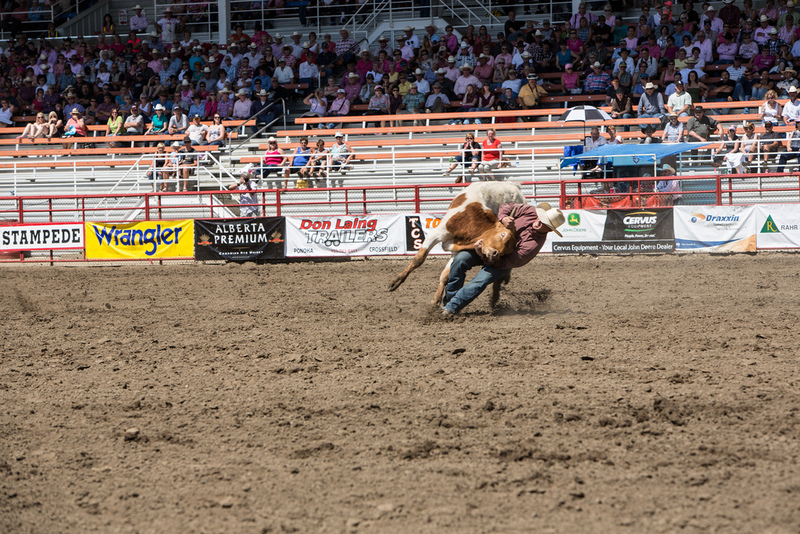 I really like how the exposure and creative treatment came together. 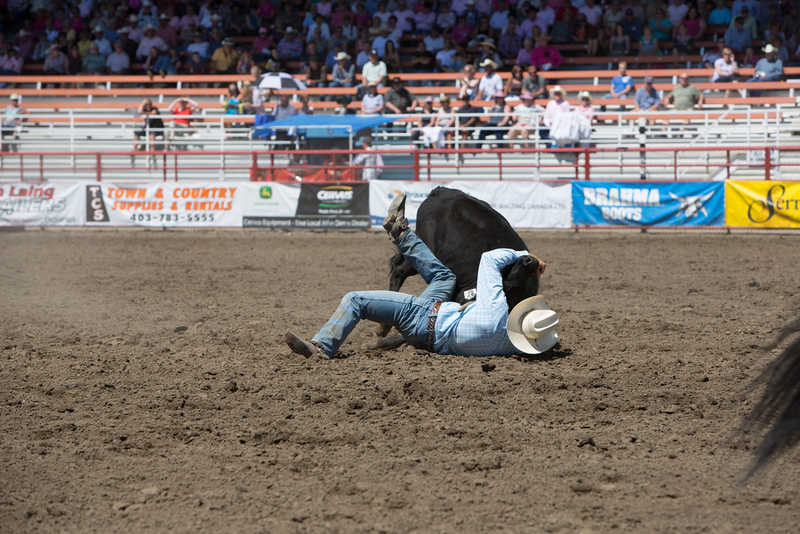 Rodeo is one of the only sports that came from working lifestyle. 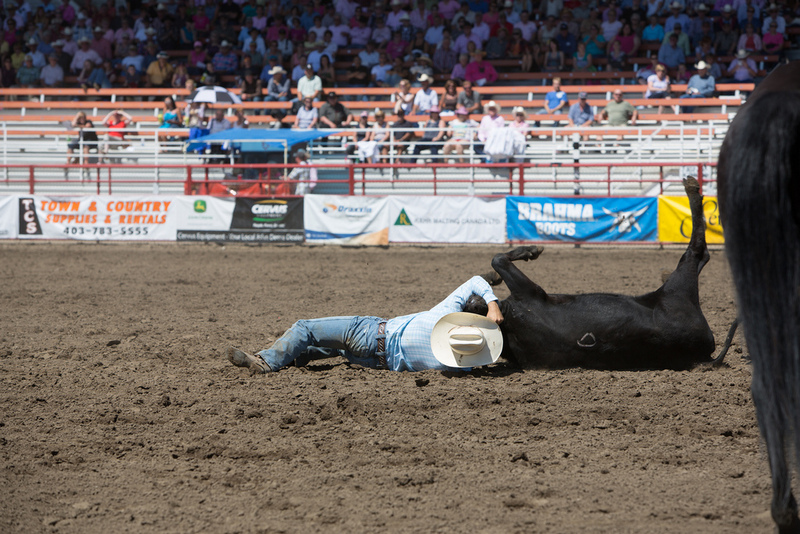 Each of the events has roots in what a cowboy does day in and day out to ensure beef is at the grocery store. 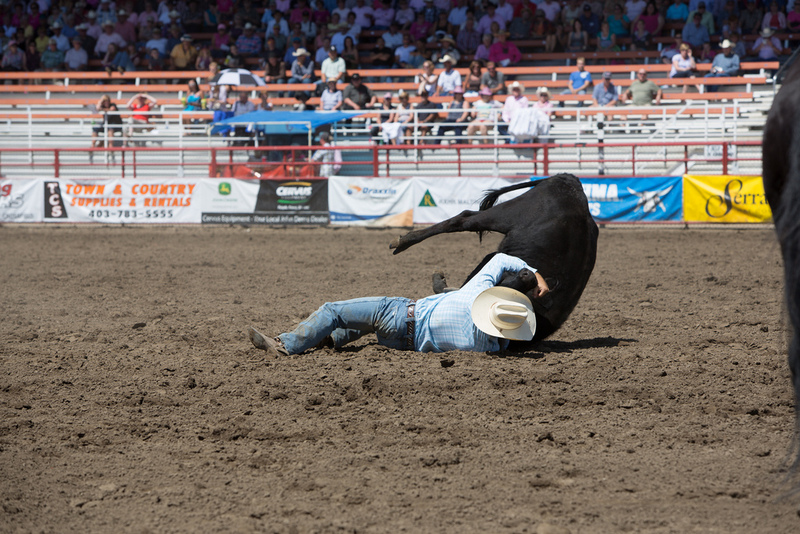 Meat doesn’t come from Safeway. 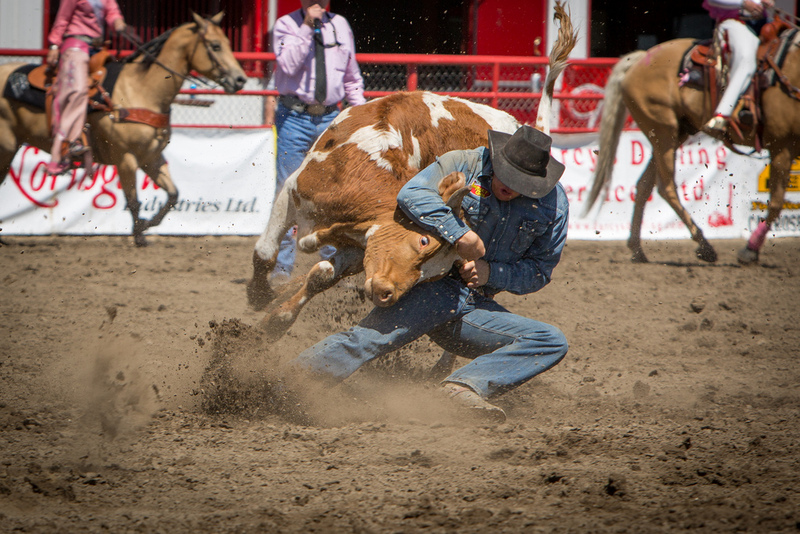 It comes from a ranch were cowboys handle cattle.